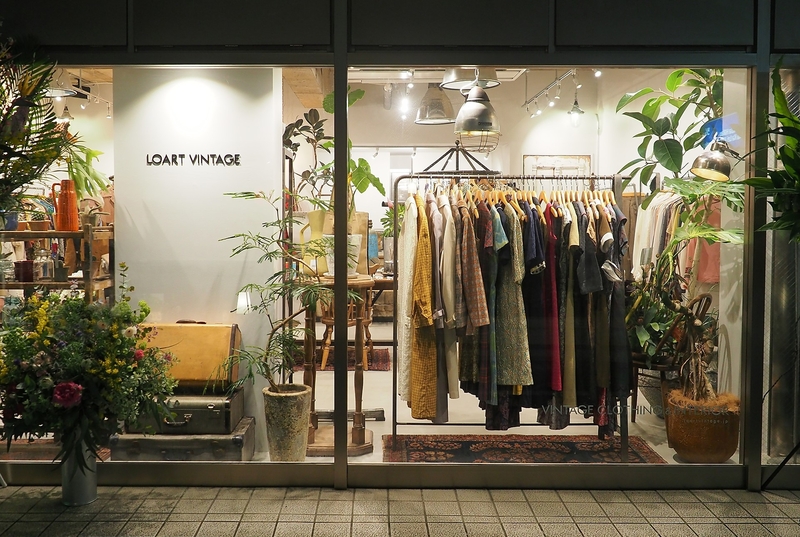 "LOART VINTAGE" just opened on March 10, 2018 is the first street shop born from the popular Grimoire for stylish girls regardless of age. Grimoire Corporation has already worked on "Grimoire" / "Grimoire Almadel" / "Grimoire BERYL", all dealing with vintage items, but they set themes for different age groups respectively. Besides vintage items buyers carefully selected overseas, LOART VINTAGE has interior and lifestyle miscellaneous goods for enjoying not only women but also men, and flower bowls and fixtures are all unified with antiques. They also sell tags with leather creators and also original leather accessories inspired by vintage. LOART VINTAGE, whose concept is to convey old good goods in a new way to modern age through a filter that is now regarded as an excellent vintage goods of the past, can be said to be exactly handed down the art of the past to the present age. As buyers go abroad to purchase on a regular basis, so there is alwasy new items everytime you visit.